Are networking events a data risk? Shropshire employers have been reassured the onus is not on them when it comes to providing allergen information on food in the workplace. Graham Davies, of Martin-Kaye Solicitors in Telford and Shrewsbury, said there had been several high-profile cases in the media lately where major firms had been criticised for their approach to food labelling. Mr Davies said employers who were concerned about how the rules affect food available in the workplace though should not be worried. Mr Davies said the law required the food business operator to be responsible for providing allergen information – the business producing, processing or distributing the food. “So if you have a staff canteen, the onus will be on the catering company to provide the information, and not on you. But of course, as a responsible employer, it would be sensible to check whether the information they’re providing is clear, and whether the catering team is sufficiently knowledgeable. If you have employees with allergies, you could also ask their opinion too. Mr Davies said first aiders in the workplace should be advised if any staff had food allergies, but there was no legal requirement to train them to help with EpiPen injections which need to be administered if a reaction occurs. Temporary Christmas workers have the right to be treated just as fairly as your permanent staff according to a Shropshire employment lawyer. Gemma Workman, from Martin-Kaye Solicitors in Telford, said at such a busy time of year, many employers needed to recruit extra workers, particularly in the retail sector. “Obviously Christmas brings increased pressure with frantic shoppers trying to find the very best presents for their loved ones, and retail businesses need more staff to meet customer demand. Miss Workman said the contract should clearly set out the end date of the employment, and include a clause to allow either the employer or the worker to terminate the arrangement early. She said any temporary staff taken on through an agency were also entitled to treatment that was on a level playing field. Miss Workman said the qualifying time would need to start from scratch if the agency worker moved to a new company and would be paused if they took time off sick – but during any maternity, paternity or adoption absences, the clock would still be ticking. Miss Workman said when it came to salary, temporary Christmas workers must also receive a pro rata amount of pay and benefits compared to a permanent employee, unless it was not reasonable or it was inappropriate, such as a season ticket loan that permanent staff received. Staff Christmas parties can be an employers’ nightmare both during and after the event – but not if your company is well-prepared. That’s the message from John Mehtam, the employment law specialist at Martin-Kaye Solicitors in Telford, who said there were ways to avoid the dreaded personnel hangover following festive celebrations. “Christmas parties are well-known for causing a festive headache, and not just for any staff who have one too many to drink either. “Statistics show that staff parties at this time of year can be a minefield – with half of all parties ending with work colleagues fighting; one in three parties brings allegations of sexual harassment; and one in five parties ends with an accident involving employees. Mr Mehtam advised employers to take note of a recent case where the Court of Appeal had ruled that a company should be held liable when an employee launched a violent assault on a colleague at a heavy drinking session straight after the firm’s Christmas party. “Originally the courts decided this was a separate incident for which the employer was not responsible. The row occurred after the company party when half the guests decided to go on to a hotel where some were staying to continue drinking. “The attack was triggered by a work-related discussion, when the managing director felt his authority was being challenged. The victim made a claim for damages against the company saying it was vicariously liable for the managing director’s conduct, which was initially unsuccessful as the court decided the drinks were separate from the Christmas party itself and at a separate location. “Now though, the Court of Appeal has ruled that because the assailant owned the company and because the gathering was a follow-on from an organised work event, with the company paying for taxis and drink, they believe the company should be held vicariously liable. A Shropshire law firm has received nationally-recognised accreditation for the security of its cyber systems. 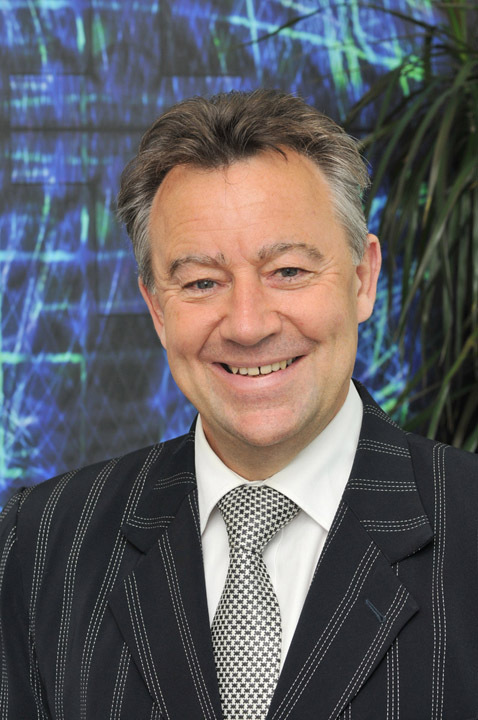 Martin-Kaye Solicitors has been accredited with Cyber Essentials by Falanx Cyber Defence – a Government-backed scheme supported by the National Cyber Security Centre. The initiative encourages companies and organisations to adopt good practice in the way they use technology, and it protects them against a whole range of the most common cyber-attacks. Martin-Kaye’s Systems and Administration Department Manager, Samantha Azzopardi-Tudor, said: “We’re very proud to have achieved this accreditation and it is a clear indication to our clients and employees that we are committed to preventing cyber-attacks and protecting their personal data. “As part of the criteria, we are required to show we are committed to using a secure internet connection in all our offices in Telford, Wolverhampton and Shrewsbury, and to ensure that all our devices and software are also secure. Mrs Azzopardi-Tudor said thanks to the accreditation, Martin-Kaye Solicitors would now be listed in the recognised Government directory of organisations who have been awarded Cyber Essentials status. “Many companies are now solely working with advisors and professional service providers who have been accredited, so anyone specifically looking to appoint a law firm that meets the very highest standards of cyber security will find us on the list,” she said. Cyber Essentials is a simple but effective scheme that helps to protect companies and organisations against the most common attacks – and it’s particularly important as vulnerability to simple attacks can mark a company out as a target for more in-depth unwanted attention from cyber criminals. 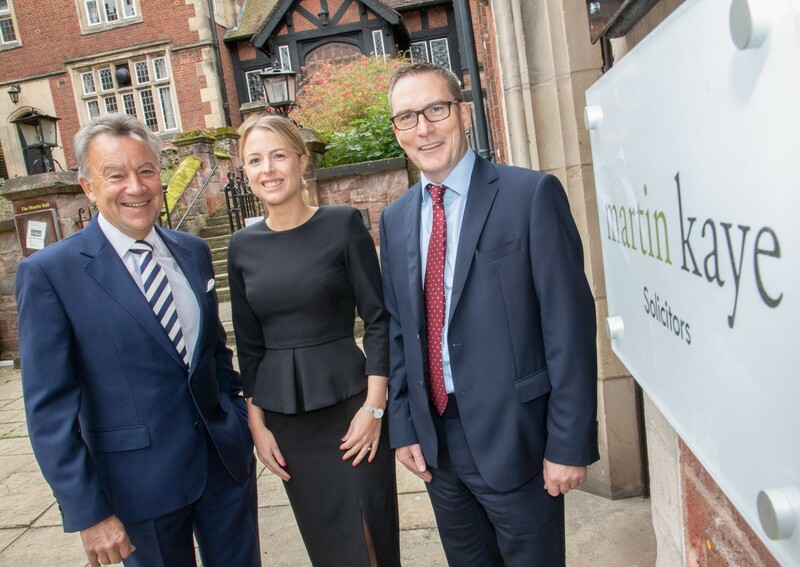 Lawyers at a Shropshire firm have opened a brand-new office in the heart of Shrewsbury. Martin-Kaye Solicitors has its head office in Euston Way, in Telford, as well as another division in Wolverhampton. And now they’ve expanded their network of branches to open another in Bellstone Court, in the county town. The staff based in the new office will primarily concentrate on property matters and conveyancing, but clients will also be able to access legal advice for commercial, employment, wills and probate, and family law matters too. Martin-Kaye’s specialist domestic property team is experienced and knowledgeable, and last year had its busiest year to date working with clients from all over the UK. The team is also accredited under the Conveyancing Quality Scheme – the quality mark for legal experts in buying or selling property. “We’ve been looking for the right location for several months, and we believe we’ve now found exactly what we were searching for in Bellstone Court,” said Mr Wagner. “We’ve already held the first in a series of employment law presentations at Shrewsbury Town FC as part of our expansion into the Shrewsbury area, and it was extremely well-received. In fact, the response was so good that around a dozen of the delegates who attended that seminar have asked specifically for a visit from our team with a view to signing up to our HR and employment scheme, Alpha. A team of Shropshire employment law experts are set to share their knowledge with an even wider audience thanks to their latest event. 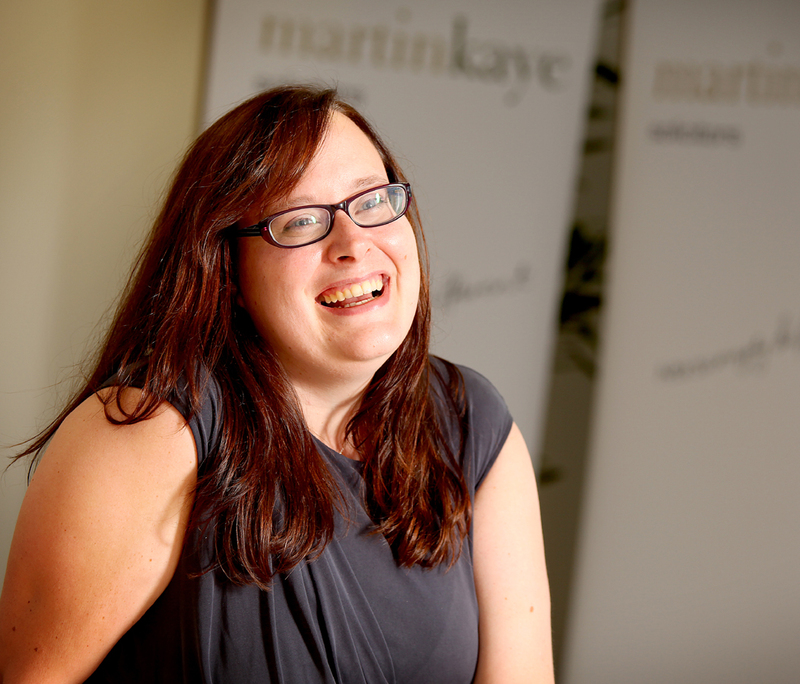 The lawyers from Martin-Kaye Solicitors, in Telford, are hosting an interactive employment advice seminar that will see them share invaluable information to help employers protect their business from escalating employment tribunal claims. The Top 10 Blunders seminar will take place at Shrewsbury Town FC on Thursday, October 4, at 12pm, and will be hosted by the firm’s employment law specialist, John Mehtam. “Our presentations are always extremely popular wherever we hold them across Shropshire, Wales and the wider West Midlands, and as we are in the process of opening a new Shrewsbury office, this event is an opportunity for local companies to find out just how we may be able to help them. “Statistically the number of claims now being lodged through employment tribunals is increasing at an unprecedented rate – in fact there has been a 500% rise since the Government abolished the fees that employees needed to pay to bring a claim. Shropshire firms who are struggling with late payments should consider changing their terms and conditions to avoid the issue. Andrew Oranjuik from Martin-Kaye Solicitors, in Telford, said a survey of 3000 SMEs in eleven countries had revealed that UK firms are the worst affected by late payments. Mr Oranjuik said another survey had shown that SMEs in the UK were paid on average 18 days late, compared to nine days in the rest of Europe. Mr Oranjuik said some companies offered incentives to encourage customers to pay quickly. “You could donate a small percentage of the balance to charity, or offer discounts to customers who settle their bill within seven days rather than the recognised term of 30 days. But this is a risk of course because clients who pay on time may find out and could demand discounts too. And why should you take a financial hit because your clients can’t pay on time? “So think logically about how to make it easier for customers to pay on time – start by making it as simple as possible for them to make a payment, and ensure you send your invoice to the right person. “And have you considered reducing your terms of payment? 30 days has been the accepted timeframe for a long time, but given that invoices and banking are now often electronic, it’s possible to speed up the process. A Shropshire lawyer has warned divorcing couples that they must prepare their petitions carefully after a landmark ruling by the supreme court. 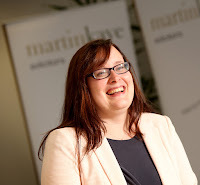 Gemma Himsworth leads the family law team at Martin-Kaye Solicitors, in Euston Way, Telford, and her warning follows the high profile divorce case where a wife must now stay married to her husband until 2020 at the earliest. “The wife wanted to divorce her husband after 40 years of marriage, but the supreme court decided to rule against her. She will now face the prospect of staying married to her husband until 2020 at the earliest because the husband won’t consent to the divorce, and the court decided she hadn’t been able to prove his unreasonable behaviour. Mrs Himsworth said five judges had upheld the rulings of a family court and the court of appeal that Tini Owens must stay married to Hugh Owens. Tini says her marriage to Hugh, who is in his 80s, is loveless and broken down. She said he had behaved unreasonably and that she should be allowed to end her marriage. Her husband though has refused to agree to a divorce and denies her allegations about his behaviour, saying if their marriage had irretrievably broken down it was because she had an affair, or because she was “bored”. “Some of the judges on the panel said they were troubled by the case and the decision they had made, but that it was not for judges to change the law,” said Mrs Himsworth. “The court said that Mrs Owens would be able to divorce in 2020, when the couple will have been separated for five years. But clearly this case is an indicator that the law needs to change as divorce laws in England and Wales date back almost 50 years. More than 50 employers took the opportunity to find out how to protect their business from escalating tribunal claims at a Telford seminar. The event was hosted by Martin-Kaye Solicitors at their offices in Euston Way, and the aim was to help employers recognise the top ten employment law blunders that companies commit, and the best way to avoid them. John Mehtam, who is Martin-Kaye’s employment law specialist, led the seminar, and said there had been an excellent turnout, with a good mix of businesses from all kinds of sectors. “We were delighted to welcome so many employers to our free event, and it was great to see many new faces from the local area who were all keen to take advantage of our advice. Employers are now facing an avalanche of claims following the Government’s decision to abolish tribunal fees, and our seminar was designed to help them learn more about protecting their business. “Our presentations are always extremely popular wherever we hold them across Shropshire, Wales and the wider West Midlands, and this event in particular was a great success. “Statistically the number of claims now being lodged through employment tribunals is increasing at an unprecedented rate – in fact there has been a 500% rise since the fees that employees needed to pay to bring a claim were abolished. 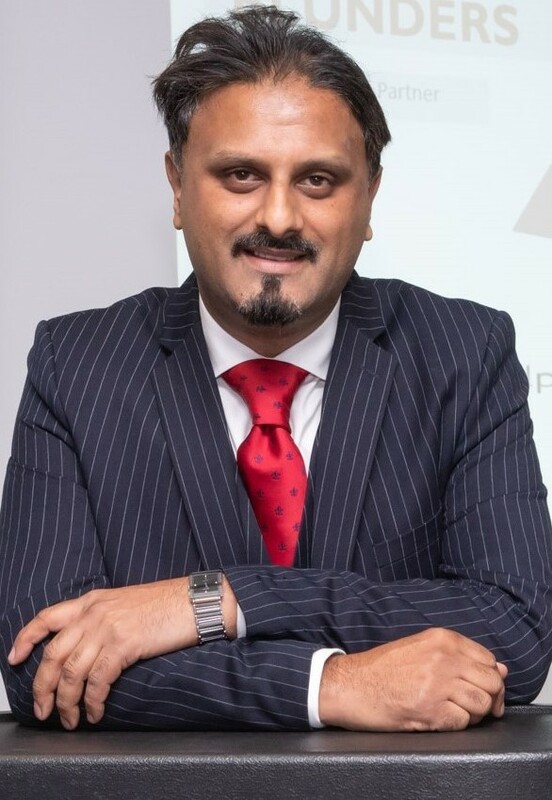 Mr Mehtam said during the event he shared advice to help businesses navigate through the increasingly-complicated minefield of employment law, and to help them avoid the most common pitfalls. “We included suggestions on how to tackle some of the most common workplace and HR issues including sickness absence, dismissals and poor employee performance – and perhaps more importantly, we looked at how to avoid these situations and how to protect your business. Lawyers from a Telford firm have joined forces with a network of city-based barristers to offer a fresh approach to family disputes. 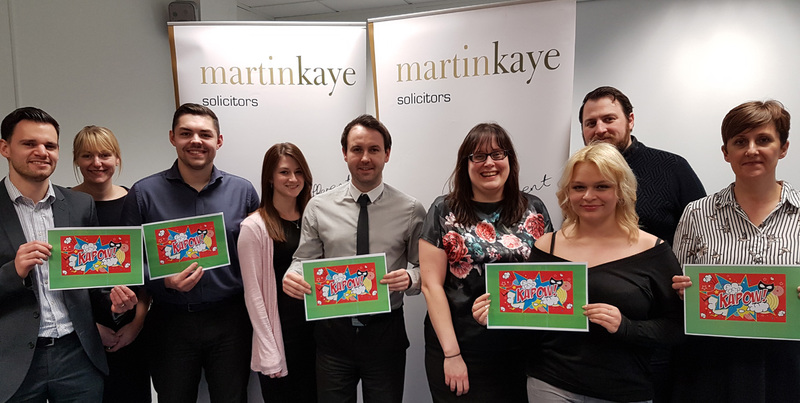 The family law team at Martin-Kaye Solicitors, in Euston Way, Telford, is working with experts in Birmingham, to develop an arbitration scheme that could speed up difficult cases. Gemma Himsworth, who leads the Martin-Kaye family division, said she and her colleague Jane Tinsley were in talks with some of the city’s top barristers. “Arbitration is a little-known option for family disputes, but it’s something that we believe could be increasingly useful – particularly in the current climate when the court system is struggling and creating huge delays. Mrs Himsworth said divorce itself was a relatively straightforward process, as long as those involved had someone to assist with the correct paperwork. “But the divorce doesn’t deal with the finances such as dividing up the house, business, income, and other assets – this is the part that often takes the longest time and costs the most money. “We already regularly refer clients to mediation, but if the case can’t be resolved that way, traditionally the only other option has been for both parties to go to court. “Now, thanks to our discussions with Birmingham-based barristers, we can suggest arbitration where both sides jointly appoint a fair and impartial family arbitrator to resolve the dispute. Mrs Himsworth said the arbitration process did come at a cost as the arbitrator had to be paid, but it often still led to cost savings because it led to a faster decision, potentially cutting down on the amount of time people had to maintain two households and two mortgages. A Telford solicitor has backed a campaign urging families to prepare for their later years to help avoid a possible dementia crisis. Fiona Mainwaring, of Martin-Kaye Solicitors in Euston Way, said a report published by the Solicitors for the Elderly organisation warned that the UK was “sleep-walking” towards a dementia disaster. “Around 12 million people in the UK who are at high risk of losing mental capacity have made no provision whatsoever for their future. This means millions of people have not planned ahead to ensure their wishes are followed and yet it’s very simple to do – you need to take professional advice and make a lasting power of attorney (LPA). Mrs Mainwaring said a coalition of partners including AgeUK and the Alzheimer’s Society had been set up amid warnings of a looming “incapacity crisis”. The Solicitors for the Elderly report, which was published in conjunction with the Centre for Future Studies, said research showed that 12.8 million people over the age of 65 run the risk of developing dementia. “And yet, there are only 928,000 LPAs currently registered – by 2025, around 13.2 million people will be at risk but only 2.2 million LPAs are expected to be in place. It’s clear that the situation is untenable and it’s vital that more people plan ahead because otherwise, the UK care system will be overwhelmed and millions of people will lose their chance to shape their own future. 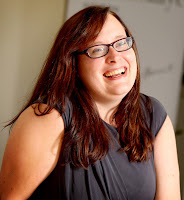 Charity director at AgeUK, Caroline Abrahams, agreed saying it was advisable to set up an LPA well in advance. 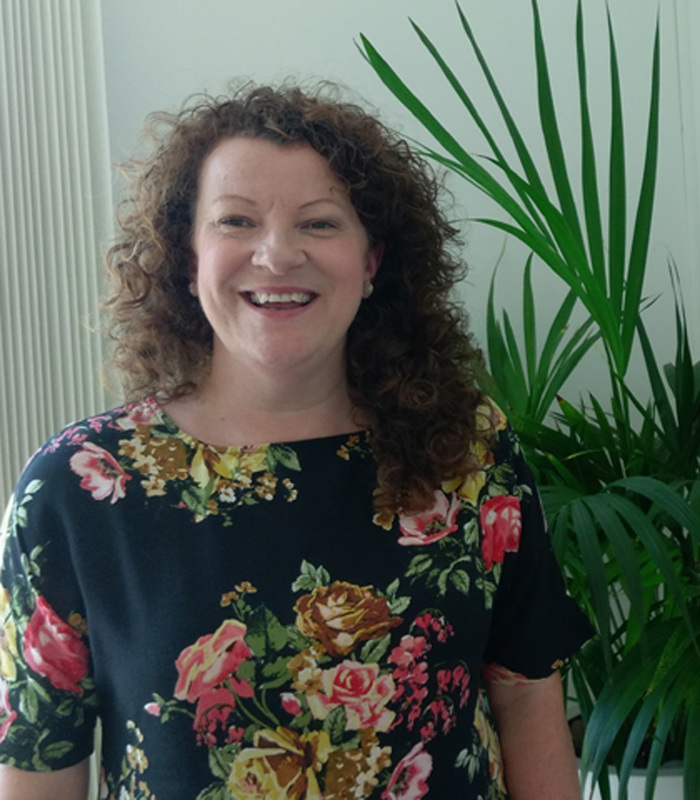 A Telford law firm has appointed a new marketing specialist as part of its campaign to reach new clients across the UK. Maria Smallcombe has joined Martin-Kaye Solicitors at their head office, in Euston Way, and she will be working closely with senior partner Graham Davies and his team to boost the firm’s profile. She said: “I’m really looking forward to applying my marketing skills to a professional services environment as that’s a first for me, and it’s very interesting to see how the legal profession operates. Maria graduated from the University of Wolverhampton and initially worked in the travel sector before choosing to make marketing her career. Graham Davies said: “At Martin-Kaye, we are always keen to continuously develop our strategies and to fine-tune our approach when it comes to finding new clients both close to home and further afield. 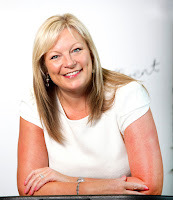 As well as offering general marketing support, Maria will also be involved in the organisation and administration of seminars, workshops and presentations – in particular, the popular Top 10 Tips and Blunders sessions presented by the firm’s employment law team to audiences all over the UK. Employers are facing an avalanche of claims following the Government’s decision to abolish tribunal fees – but a Shropshire law firm has the answers company bosses need. 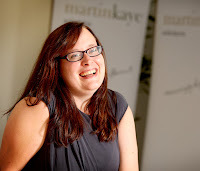 Martin-Kaye Solicitors, in Euston Way, Telford, is hosting an interactive employment advice seminar that will see them share invaluable information to help employers protect their business from escalating claims. The Top 10 Blunders seminar will take place at Martin-Kaye’s offices on Thursday, July 12, at 12pm, and will be hosted by the firm’s employment law specialist, John Mehtam. “Our presentations are always extremely popular wherever we hold them across Shropshire, Wales and the wider West Midlands, and this event is an opportunity for local companies to find out just how valuable the right advice can be. “At Martin-Kaye, we’re committed to delivering effective and appropriate advice that really does make a difference to our employers, and our short sharp seminars are designed to get right to the point. Companies could benefit from a huge boost in business thanks to the upcoming World Cup – but failing to get their workplace policies in order could see them scoring an own goal. That’s the warning from John Mehtam, the Employment Law specialist at Martin-Kaye Solicitors, in Telford. Mr Mehtam said as the competition was being held in Russia this year, the time difference meant that many of the matches would be kicking off in the middle of the working day. “This could be a real issue for many businesses, and with England’s group matches in the evenings and at weekends, shift workers could be affected too, so it’s important for managers to make sure they have rigorous policies in place, and that they are communicated clearly to all staff. “Flexibility on the part of both employers, and their employees is key to maintaining a productive business, and a happy, motivated workforce. To achieve this, it is important for Shropshire managers to have agreements in place regarding issues like time off, sickness absence, or even time spent watching TV and monitoring social media. “A more flexible approach is not always possible for some businesses – if England do well, momentum for merchandise will undoubtedly build in the shops and pubs, and employers will need all the staff they can muster. In these instances, it is vital that all requests for time off are dealt with fairly, and consistently. 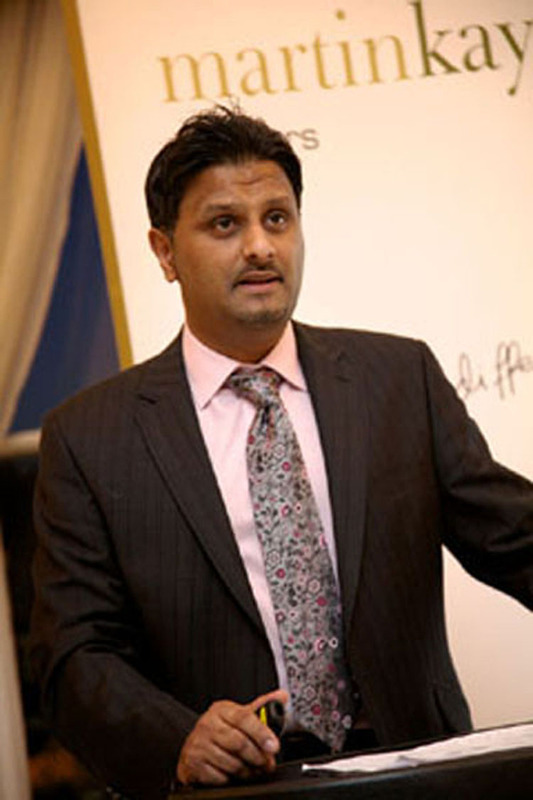 Mr Mehtam said employers needed to make the right decisions for their own individual business. Martin-Kaye Solicitors have welcomed a new commercial property solicitor to their team. 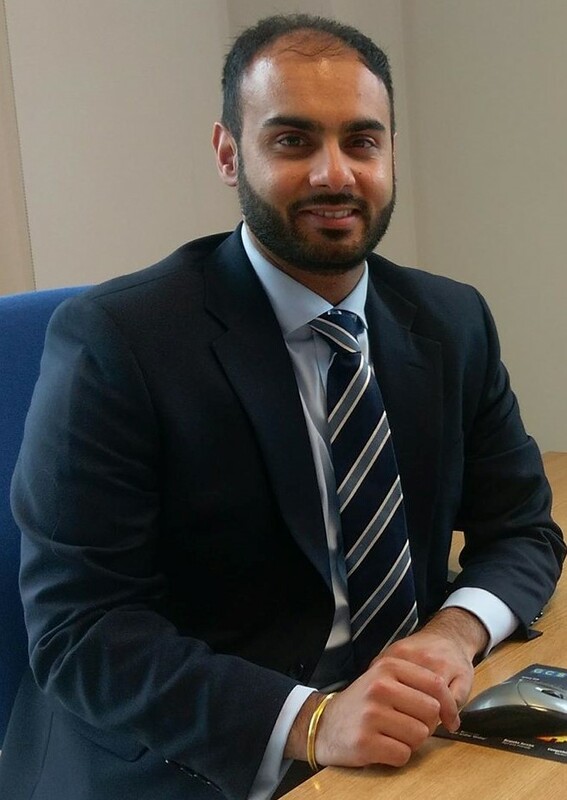 Jas Khela is the latest new face to join the law firm, in Euston Way, Telford, and he has wide-ranging experience after completing his training with a city centre legal practice in Birmingham, followed by a move to another Shropshire firm. Jas will specialise in a wide variety of commercial property cases including: landlord and tenant issues such as new leases, surrenders, licences, and rent reviews; sales and purchases; and land development including conditional contracts and option agreements. Martin-Kaye Senior Partner Graham Davies said Jas was an excellent addition to the commercial property department, and he was already building strong contacts with new and existing clients. “We’re always looking for keen and ambitious lawyers to join us here at Martin-Kaye, and Jas fits the bill perfectly. His commercial property skills are excellent, and he’s working very well alongside colleagues who are keen to share their knowledge and experience with him. Martin-Kaye’s specialist partner-led commercial property team acts for both sellers and purchasers in all kinds of deals ranging from the property aspects of large restructuring deals, to the sale or purchase of the premises of a small business. The team acts for both landlords and tenants in leasehold matters too, including rent reviews, security of tenure, new short or long-term leases, lease assignments, sublets and occupational licences. Business owners must take action over fake website reviews or risk their company’s reputation, and even its entire future. Graham Davies, of Martin-Kaye Solicitors in Telford, said with competition for business so fierce, some companies and individuals had resorted to posting fake negative reviews on company websites. “Research has shown that in 2017, 85% of hotels had been subjected to fake reviews – and that’s an increase from 65% just two years earlier. Mr Davies said firstly you should check whether the review came from an actual customer or not. “If you believe it’s not a genuine customer, flag the review up with Google or whichever platform it has been posted on, although they won’t always agree to remove it and this process can take some time. If they won’t take the review down, you should post a reply – don’t be tempted to lose your temper as it will only reflect badly on your company and so help your competitor. Mr Davies said business owners should not be tempted to bring in a marketing firm that promised to fix their online reputation either. “The Competition and Markets Authority has recently stepped up its campaign to root out companies who are employed to post fake positive reviews in a bid to redress the balance, so you could still be breaking the law. “Most importantly, make sure you deal with the review one way or another – if it is a negative comment from a genuine customer, dealing with it constructively and (if it’s appropriate) on a public forum shows you appreciate their concerns and take them on board. A Shropshire lawyer has backed calls for changes to the divorce laws in England and Wales that date back almost 50 years. Gemma Himsworth leads the family law team at Martin-Kaye Solicitors, in Telford, and she said surveys had shown that some couples were being forced into uncomfortable courtroom battles to establish who caused the relationship breakdown. Gemma is a member of Resolution, the national family lawyers’ association, which has recognised the need for a change in the law for many years and whose members have long campaigned for the law to be updated. “At Martin-Kaye, we always try to keep conflict to a minimum in a divorce case anyway, no matter what the circumstances are. But I would welcome a move towards divorces where neither party has to blame the other, or bring up unpleasant history in order to prove their point. “In my experience, turning a divorce into a battleground only inflames an already difficult situation, which is of no benefit to anyone,” said Mrs Himsworth. The only ground for divorce in England and Wales is irretrievable breakdown of a marriage, and there are five specific types – three of which require allegations of fault: adultery, behaviour and desertion. The other two require a minimum of two years’ separation before either party can apply. Mrs Himsworth said a supreme court hearing this month would consider the only successfully defended divorce case in recent years, where a woman claims she has been left trapped in a “loveless and desperately unhappy” marriage after judges refused to allow here to divorce her husband of 40 years. “This case clearly indicates that divorce law which is now nearly 50 years old is not working in today’s modern world, and that reform has to be the way forward. But it will require Parliament to change the law and to make the legal divorce a much simpler process – it’s time to introduce a fairer, more child-centred and cost-effective system that causes less pain for everyone involved. Our Senior Partner Graham Davies has been helping the entrepreneurs of the future develop their business ideas. 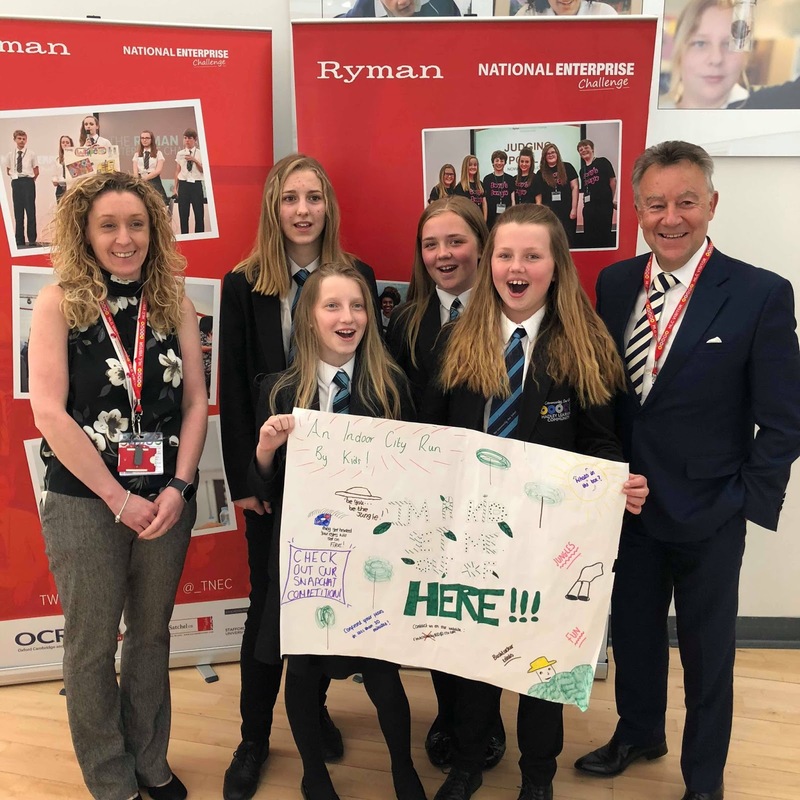 He joined the students at Hadley Learning Community as part of this year’s National Enterprise Challenge, which is the UK’s largest enterprise education competition. The aim is to create real life business challenges for students and 90 students from Year 7 took part. This year’s challenge involved creating ideas for a game for KidZania London – an indoor city run by children and one of the main sponsors of the competition. 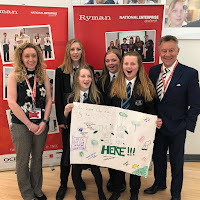 The winning team from Hadley Learning Community – I’m a kid get me out of here – will now go through to the local semi-finals, with the final taking place at The International Centre, Telford, in July. England could face a deluge of divorce cases from the other home nations if an estranged wife wins her current court case. The wife and her aristocratic husband – who is a relative of the Duchess of Cornwall – are locked in a legal battle about whether arguments over their divorce settlement should be held in an English or Scottish court. And now, family law expert Gemma Himsworth of Martin-Kaye Solicitors in Telford, said if the wife wins, the case would set a precedent that could bring a huge increase in similar claims. In 2016, the courts decided the English High Court could help Mrs Villiers because she was then “habitually resident” in England – they ruled Mr Villiers should pay her £5,500 a month to cover interim maintenance while the divorce is finalised and her legal bills. “Now though, Mr Villiers is challenging the ruling and insisting that an English judge had no right to intervene in a Scottish divorce. The case is still ongoing but once it has been decided, if Mrs Villiers wins then England and Wales could see a real surge in similar cases from Scotland, and an increase in the arguments between spouses about which court should hear their dispute. “Mr Villiers claims that his wife is ‘trying it on’ and that the courts should throw out her case. Most Shropshire businesses should by now be aware of the new data protection rules that will come into force in just a few weeks. But how will the legislation affect any contact details you collect at networking events across the county? 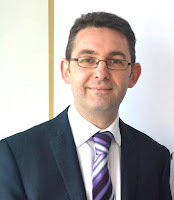 Graham Davies, of Martin-Kaye Solicitors in Telford, said: “It’s a tried and tested approach – you attend a networking meeting and automatically swap business cards with the other people you meet at the event. “But under the new General Data Protection Regulation policy that takes effect on May 25th, surely you’re breaching the rules unless you inform your new contacts about how you’re planning to use the information? “In fact, as you have exchanged personal data at a business event, it’s clear that both parties can reasonably expect their new contact will be in touch at a later date – otherwise why would you have handed over your business card? Mr Davies said technically the new rules would require you to provide a full description of how you were planning to use the information, but common sense should be applied. “If you’re hosting an exhibition stand at the networking event and collecting business cards from delegates, you’d be wise to display a statement that explains you may use the details later. If you don’t have a stand, maybe ask your new contact if they’d like to be included on your mailing list as they hand over their card – you need to make sure they realise that you may be in touch. “Then when you first make contact following the event, ensure there’s a clear link to your privacy notice, and always remind your contacts that they have the right to opt out of any further marketing communications. A Shropshire legal assistant has taken on a new role at a local law firm after impressing the management team with his hard work and dedication. Tom Wickstead initially had a work experience placement at Martin-Kaye Solicitors in Euston Way, Telford, while he was still at school. And then, after leaving Bangor University with his law degree, he spent seven years working for the National Health Service, before returning to Martin-Kaye as a legal assistant in the domestic conveyancing team. Now, he will be assisting one of the firm’s Partners, Andrew Oranjuik, and his colleague Sara Brumwell with civil litigation, professional negligence and commercial litigation cases. Tom will also be involved in debt recovery operations. 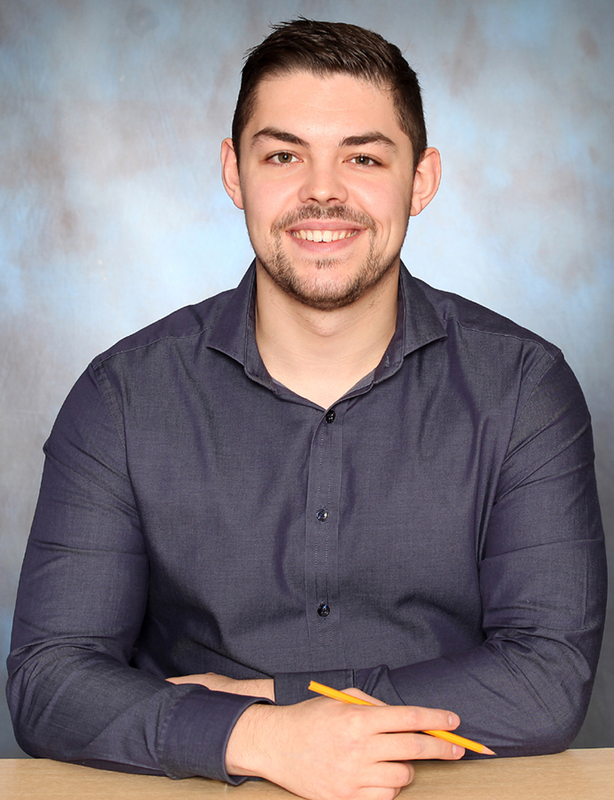 Mr Oranjuik said: “We have been extremely impressed with Tom’s commitment and his attitude, and we felt this new role was the perfect opportunity for him to build on his already strong skills and expand his knowledge of different areas of law. 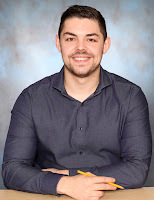 As well as his day-to-day duties, Tom is also studying at the University of Law in Chester for his LPC (Legal Practice Course), which is also known as the Postgraduate Diploma in Legal Practice – the final stage before becoming a qualified solicitor in England and Wales. Shropshire employers could be held personally responsible if they fail to check whether their staff have the right to work in the UK. 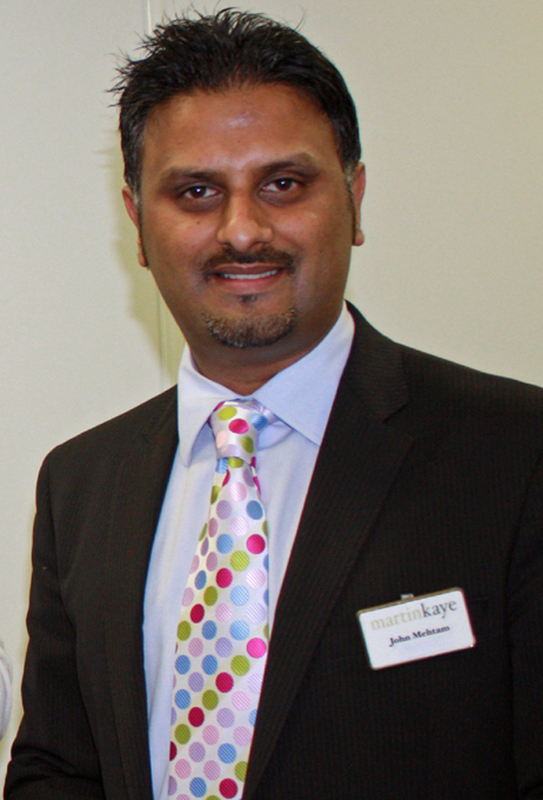 Employment law specialist, John Mehtam, from Martin-Kaye Solicitors in Telford, said 20 directors from 16 separate companies nationwide were disqualified in the last year for employing illegal workers. Mr Mehtam said no matter what size of company an employer may run, every director is legally required to ensure that the business is taking the necessary steps to prevent illegal working. He said directors should ask the prospective employee to provide the company with original documents showing they had permission to work in the UK, and then check the paperwork in their presence. “You need to be sure that the documents are genuine, and that the person handing them over is the rightful owner – you should also check they confirm the person is allowed to do the type of work you have available. “Double check too whether the paperwork says they have a permanent right to live and work in the UK, or whether it’s only a temporary permission. If it’s only temporary, you’ll need to carry out follow-up checks in the future. Mr Mehtam said as well as disqualification, the maximum penalty for employing illegal workers due to inadequate employment practices is £20,000 per illegal worker. Clubs and societies across Shropshire have been warned they must comply with new data protection rules, even if they only have a handful of members. Graham Davies, of Martin-Kaye Solicitors, in Telford, said the new General Data Protection Regulation (GDPR) was due to come into force on May 25th. “The new guidelines mean individuals will have greater control over how their personal information is collected and processed, and organisations will need to be more accountable when it comes to data protection. Mr Davies said organisations who used a mailing list to promote fund raising events, or exhibitions, or who kept membership details on file would need to follow the new criteria. “If your organisation is a one-person operation or you’re just a small group of committed supporters, there will be some work to be done ahead of the rules coming into force, but you have to take responsibility in order to be compliant. “Make sure you have a process for collecting and storing data, and nominate someone to be your recognised data processor who will be responsible for making sure the process is followed. “Draw up a simple document that you give to all members which sets out what data you collect and how it will be stored. Have a consent form that asks people’s permission to store their details – this is the ‘opt in’ policy – and make sure they have a copy and that you have a signed copy. Mr Davies said it was also vital that members knew who had access to the list, particularly if an outside body would be able to view the information. “You should also make sure any data is stored safely – this is the most challenging issue as you’ll need to keep a regular watch on your systems to ensure they are up-to-date, but in today’s dangerous cyber environment, this is just good practice and common sense anyway. Businesses who are owed money when a customer goes bust will need to prove the value of the debt if they want to stand any chance of being repaid. Andrew Oranjuik, from Martin-Kaye Solicitors in Telford, said the insolvency rules had been changed last year and it was vital that businesses knew how to make a claim. “The changes simplified the insolvency rules in England and Wales in order to make it easier to make a claim online, and other changes were made to streamline claims by creditors. “But if you are owed money, the most important criteria is that you can prove that the debt is actually owed. Mr Oranjuik said if a business was owed a “small debt” – judged to be £1,000 or less – then purely writing to the Official Receiver or insolvency practitioner would be all that was needed. Mr Oranjuik said the problem was that businesses and individuals who went into liquidation or bankruptcy could not be relied upon to have accurate and up-to-date records. “This means your debt may not show up, or it may show the wrong amount – if your records show a different amount from the debtor’s accounts, you may need to provide proof of debt even if it’s less than the £1,000 threshold. It’s particularly important to prove the amount if the debtor’s records show they owe you £1,000 or less, but they actually owe you more. Employers should tread very carefully when it comes to monitoring their employees’ emails and messages, a local solicitor has warned. 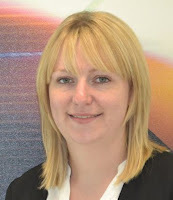 Gemma Workman, from Martin-Kaye Solicitors in Telford, said employers should make their staff aware of any monitoring of their communications, as they could be guilty of breaching the employee’s right to privacy. Her warning follows a court case where the European Court of Human Rights backed an employee who was dismissed after his employer found he’d been using a company online account to send private messages. “In this case, the employee sent personal messages to his family, but he wasn’t informed that his emails and messages would be monitored. The case involved an employee who worked in sales and who was asked to set up a Yahoo Messenger account to answer client’s enquiries. He had been warned not to use it for private matters, but was found to have been using it to exchange personal messages with family members. “The court’s ruling is a warning to employers that they need to think very carefully about why they need to monitor an employee’s emails and what they are trying to protect,” said Miss Workman. “Usually it’s to ensure they are complying with the law and their obligations, and so that’s likely to be a legitimate reason. “But you must warn employees in advance that you might monitor their emails and text messages, and that you reserve the right to do so. You could refer to this right in the staff handbook so it’s absolutely clear. Shropshire business owners could be missing out on valuable customer information if they don’t offer free Wi-Fi for customers and visitors. But Andrew Oranjuik from Martin-Kaye Solicitors, in Telford, said it was vital that the information collected was handled sensitively and appropriately. “For many businesses, there’s often a time when customers have time on their hands while they’re waiting at your offices, and it’s the perfect time for them to catch up on emails or check the latest news headlines. “By offering free Wi-Fi, you’re not only keeping your customers happy, there are advantages for your business too – in particular, information. “You are controlling the network connection, so you can set your website as the homepage and ask for customer data such as their name, email address, and age, which is extremely useful for future marketing campaigns. Mr Oranjuik said new General Data Protection Regulation (GDPR) rules which come into force later this year were also a consideration for business owners. “Businesses will have to comply with much stricter guidelines and be far more transparent about how they process customer data. “So collecting information while your customers are on your premises will need to be very carefully managed and you’ll need to provide an active opt-in where they individually agree to you holding their details. Of course, if they want to use your Wi-Fi network, they will probably be more than happy to let you have their personal information, so it’s a win-win situation. “You’ll need to ensure you have business broadband with unlimited downloads, and keep the new ‘public’ network clearly separate from your business Wi-Fi network by giving it a separate name and access code. Don’t be tempted to work with an open network where no access code is required as non-customers will be able to make use of your Wi-Fi just by being in the area. Divorcing couples have been warned not to try to massage the truth on court papers to secure a better deal. Gemma Himsworth, who leads the family law team at Martin-Kaye Solicitors in Telford, said research had shown there was an increase in the number of divorce petitions that were actually stretching the truth. “Most people would assume that divorce papers would be an accurate reflection of why the marriage broke down and who was to blame. Mrs Himsworth said some petitions included false claims and admissions of adultery, and the tweaking of separation dates to reduce the wait times in two and five-year separation cases. “This is a very dangerous game to play and although it may seem tempting to try to make a divorce case easier and quicker, couples should be very careful if they decide to go down this route. Mrs Himsworth urged divorcing couples to seek proper advice to enable them to navigate the grounds for divorce fairly and effectively. “The trouble with fault-based divorces is that they don’t reflect the reality of relationship breakdown for most couples, and they also do nothing to help them deal with the aftermath of the break-up. “The family justice organisation, Resolution, has campaigned for a no-fault divorce system and to ‘make no-fault the default. This could make a stressful situation much more comfortable for both partners, and reduce the chances of any additional conflict moving forwards.